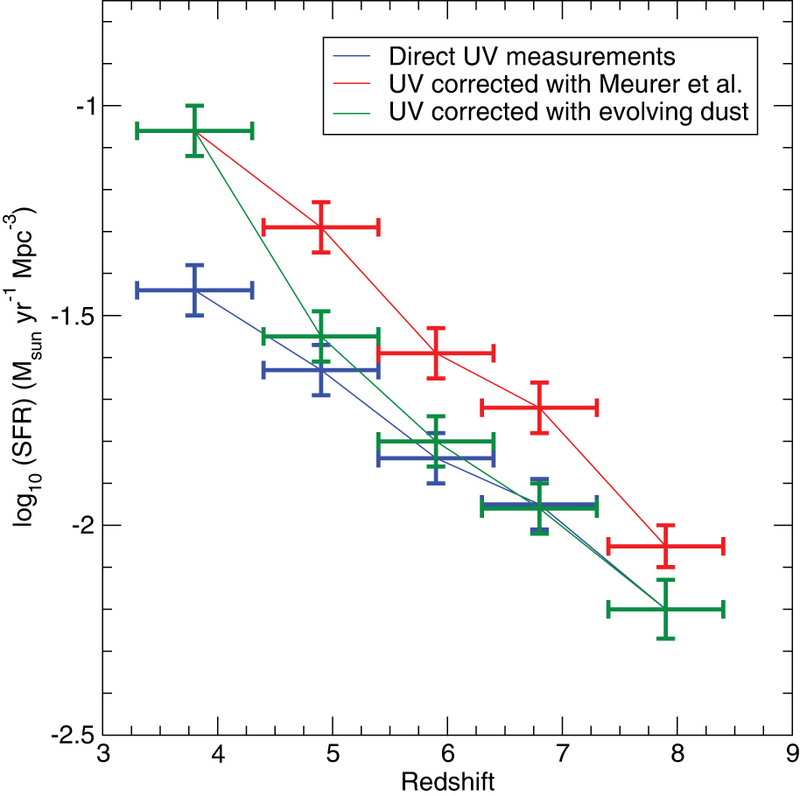 The rest-frame ultraviolet properties of galaxies during the first three billion years of cosmic time (redshift z > 4) indicate a rapid evolution in the dust obscuration of such galaxies. This evolution implies a change in the average properties of the interstellar medium, but the measurements are systematically uncertain owing to untested assumptions and the inability to detect heavily obscured regions of the galaxies. 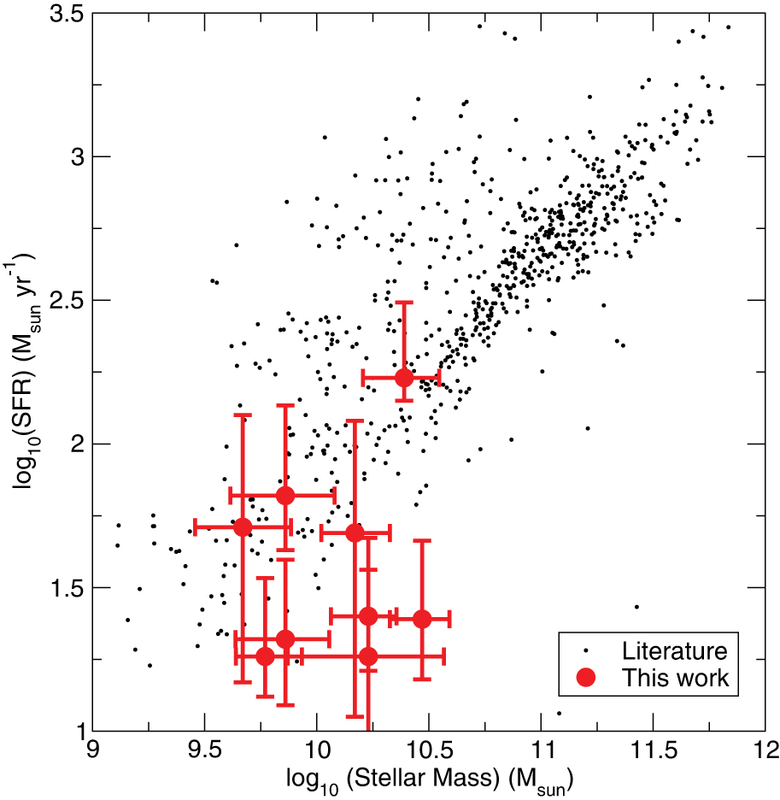 Previous attempts to measure the interstellar medium directly in normal galaxies at these redshifts have failed for a number of reasons, with two notable exceptions. 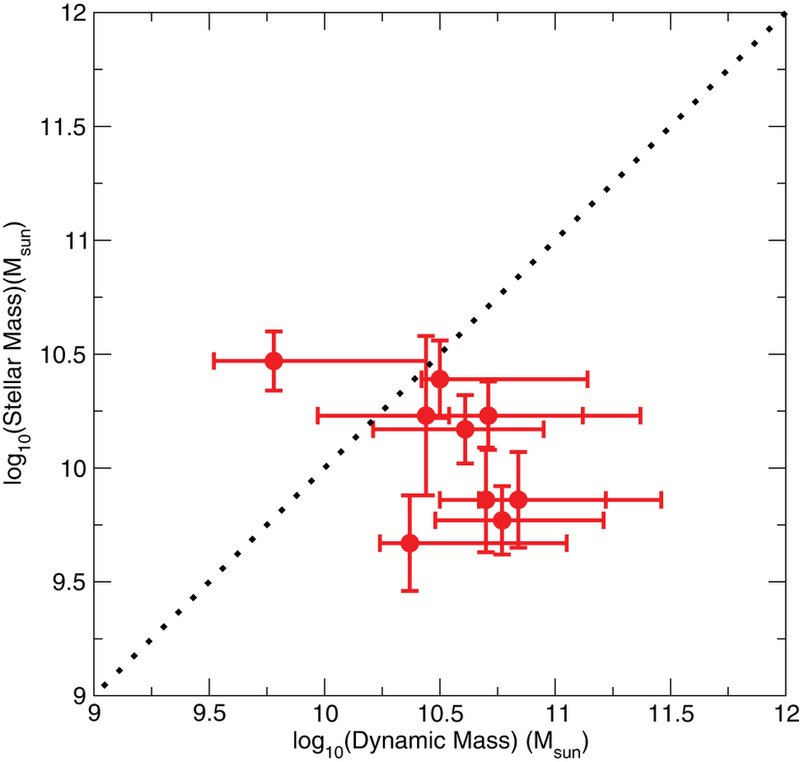 Here we report measurements of the forbidden C II emission (that is, [C II]) from gas, and the far-infrared emission from dust, in nine typical star-forming galaxies about one billion years after the Big Bang (z ≈ 5–6). We find that these galaxies have thermal emission that is less than 1/12 that of similar systems about two billion years later, and enhanced [C II] emission relative to the far-infrared continuum, confirming a strong evolution in the properties of the interstellar medium in the early Universe. The gas is distributed over scales of one to eight kiloparsecs, and shows diverse dynamics within the sample. 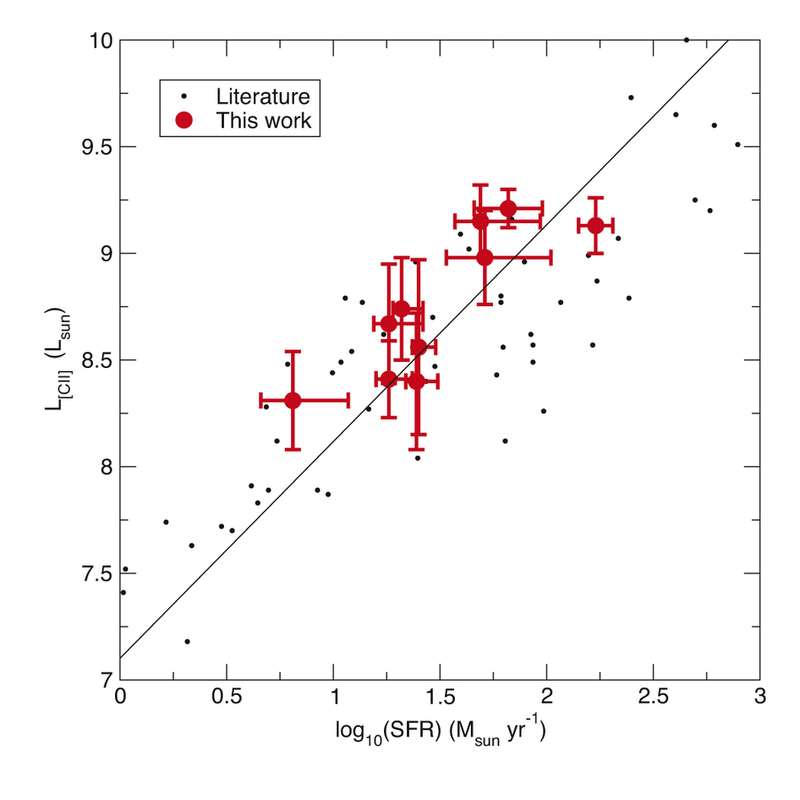 These results are consistent with early galaxies having significantly less dust than typical galaxies seen at z < 3 and being comparable in dust content to local low-metallicity systems. © 2015 Macmillan Publishers Limited. Received 20 November 2014; accepted 23 April 2015. Support for this work was provided by NASA through an award issued by JPL/Caltech. We thank the ALMA staff for facilitating the observations and aiding in the calibration and reduction process. ALMA is a partnership of ESO (representing its member states), NSF (USA) and NINS (Japan), together with NRC (Canada) and NSC and ASIAA (Taiwan), in cooperation with the Republic of Chile. The Joint ALMA Observatory is operated by ESO, AUI/NRAO and NAOJ. This work is based in part on observations made with the Spitzer Space Telescope and the W.M. Keck Observatory, along with archival data from the NASA/ESA Hubble Space Telescope, the Subaru Telescope, the Canada-France-Hawaii-Telescope and the ESO Vista telescope obtained from the NASA/IPAC Infrared Science Archive. V.S. acknowledges funding by the European Union’s Seventh Framework programme under grant agreement 337595 (ERC Starting Grant, ‘CoSMass’). Contributions: P.L.C. proposed and carried out the observations, conducted the analysis in this paper, and authored the majority of the text. C.C., G.J. and K.S. carried out the reduction and direct analysis of the ALMA data. C.M.C. consulted on the spectral energy distribution fitting and interpretation of the data, and also conducted a blind test of the FIR luminosity, [C II] line luminosity, and β measurements, along with testing for sample selection effects. D.R. conducted the spectral line analysis and carried out an independent blind check of the ALMA data reduction. O.I. carried out the spectral energy distribution fitting and consulted on their interpretation. C.M.C., A.K., O.L., S.L., N.S., V.S. and L.Y. contributed to the overall interpretation of the results and various aspects of the analysis. Competing financial interests: The authors declare no competing financial interests. This paper makes use of ALMA data: ADS/JAO.ALMA#2012.1.00523.S. ALMA.